Vertical to around 30 feet with a very compact footprint, this bamboo is beautiful. This is the plant specifically used to make sticky rice throughout South East Asia, as well as refreshing teas. 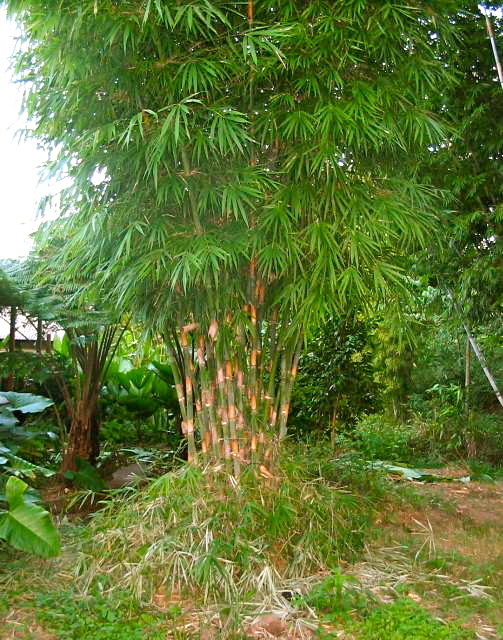 Traditionally this plant is also used for weaving projects. We think that in Hawaii, it has a great future as a lovely privacy screen for those pesky neighbor abatement issues.